Grupa Azoty S.A. has been present in the elite group of socially responsible companies listed in the Respect Index of the Warsaw Stock Exchange continuously from the very beginning of the project. The eleventh edition of the Index was announced at the WSE on December 14th 2017. Currently, the index includes 28 companies, of which three are listed in it for the first time. 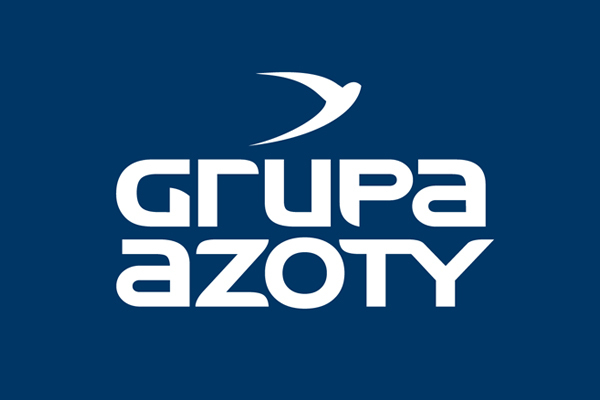 “Grupa Azoty’s presence in the Respect Index is a remarkable success of the four largest companies forming our Group, namely Grupa Azoty S.A., Grupa Azoty Puławy, Grupa Azoty Police, and Grupa Azoty Kędzierzyn. All the companies took part in the index survey and went through the review process. The inclusion in the RESPECT Index is a confirmation of our high management standards and responsible approach to sustainable development,” said Paweł Łapiński, Vice President of the Management Board of Grupa Azoty S.A. The Respect Index includes Polish and foreign companies listed on the WSE Main Market which conduct their business adhering to the highest standards in terms of corporate governance, corporate disclosure discipline, and investor relations, as well as environmental, social, and labour-related matters. “Undoubtedly, Polish public companies are increasingly more aware of the need to conduct their business looking not only at the purely financial side but also at the environmental, social or employee-related aspects. As a conservative environmentalist, I am glad to see more and more WSE-listed companies delving deeper into sustainable development. The stock exchange is the perfect place for supply and demand to meet, and the 85% growth of the Respect Index value over the last eight years leaves no doubt that socially responsible companies are a precious asset,” said Marek Dietl, President of the Management Board of the Warsaw Stock Exchange. Under the present formula, companies are surveyed and reviewed and the index composition is revised once a year, in the second half of the year. Companies finally included in the index are those that most successfully complete the three-stage verification process covering the areas mentioned above, conducted by the WSE and the Polish Association of Listed Companies, as well as the audit performed by Deloitte, the project’s partner since the first edition. RESPECT Index, the first index of socially responsible companies in this part of Europe, was first quoted at the Warsaw Stock Exchange in November 2009 and comprised 16 companies then. In this year’s edition, it includes 28 companies. An analysis of the RESPECT index’s performance reveals that stocks making up the index offer higher returns compared with the average ones as shown by the WIG index. Between November 2009 and December 2017, i.e. over the eight years of the index’s existence, its value rose by 85%. To compare, the broad market index WIG grew by 59% and WIG20 gained 3.5% in the period.